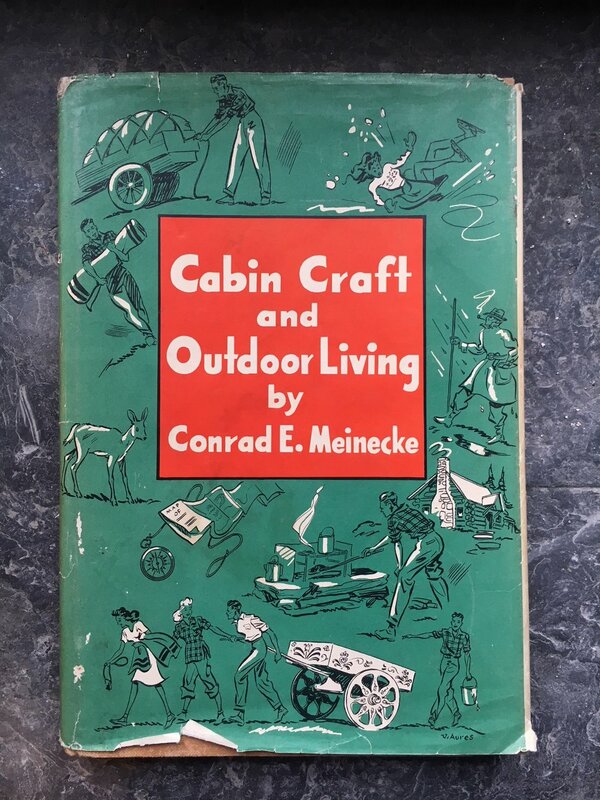 Cabincraft and Outdoor Living is written for the man who has but 2 weeks vacation a year and takes his family with him, or, for the man who has a place in the country and wants to know how to do many things around the place himself. 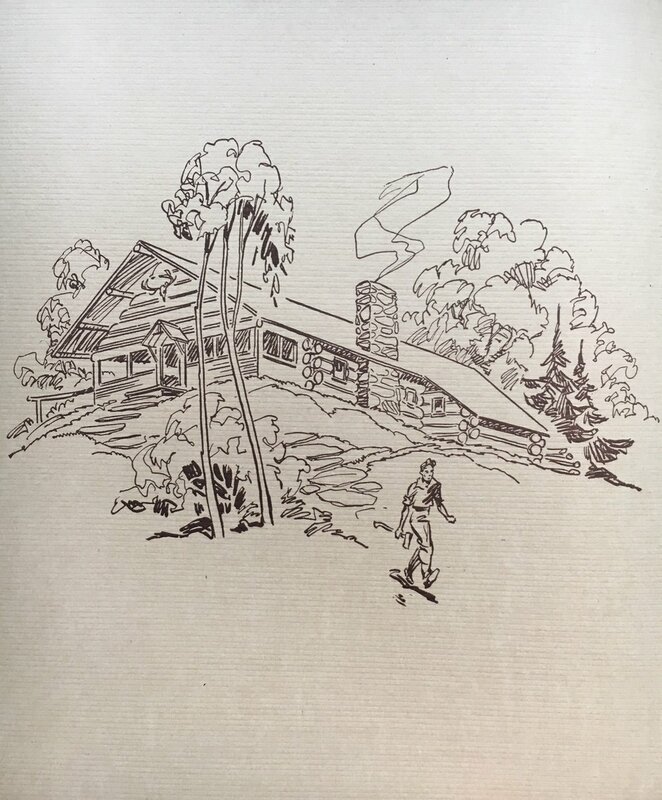 It teaches you how to build a log cabin, with diagrams featuring a bush-craft kit – and using axes, knives, rope and felled trees; how to furnish and beautify your cabin, with tips on cooking, bird listening and lighting fires and stoves. You will learn how to cook the most succulent outdoor dishes you ever dreamed about eating, you will learn how to design and make furniture, how to find water, how to make candles, how to take advantage of the signs that nature posts everywhere for your better living. It is just filled with everything you need to know about the good life in the great outdoors. It’s a poetic celebration of life lived outdoors. 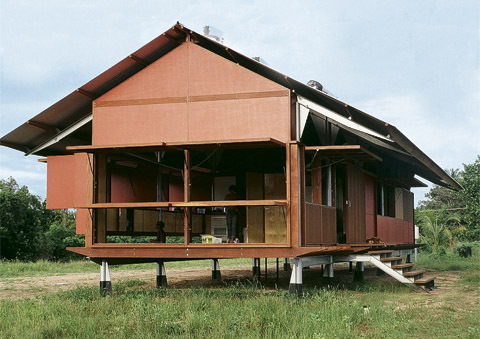 Known for his smaller scale residential buildings, Australian architect Glenn Murcutt's projects blend a modernist design approach with an ever-present consciousness of the environment; qualities that have inspired fforest chief his entire career. The picture shown above is probably his smallest work, but the simplicity, modesty and respect for context make it a personal favourite. 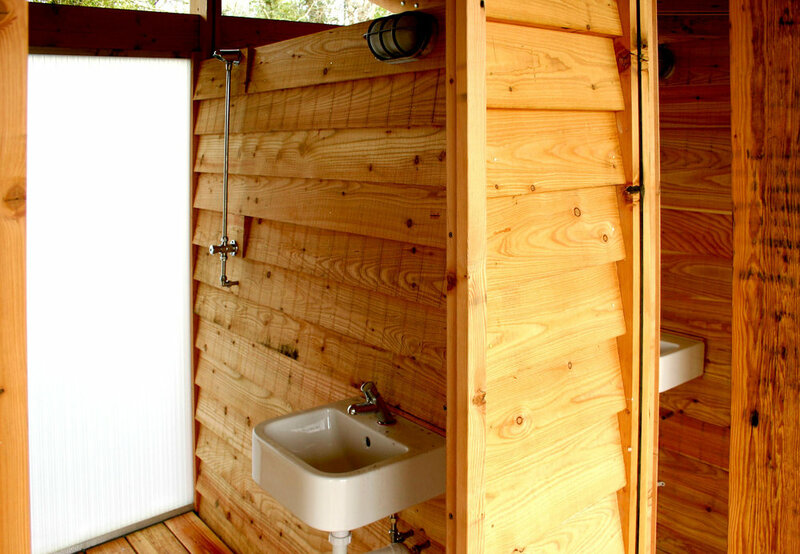 A hero and reference point for Chief, the shower block at fforest is a 'homage' of the most humble sort. Choosing materials that can be produced easily and economically; from glass to stone to concrete, brick and metal, Murcutt's buildings evoke a distinctive Australian flavour that are in constant harmony with their natural surroundings, much like the majority of our buildings at fforest. Murcutt has resisted expanding his staff and has remained as a sole practitioner with the minimum of assistants. 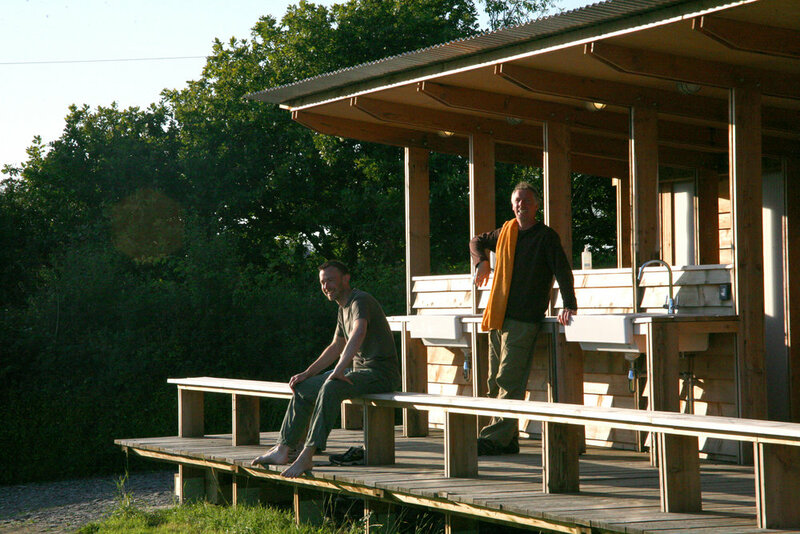 fforest chief invited Glenn to the 'Do' lectures at fforest in 2009 but unfortunately he was unable to travel the long distance due to old age. His hand-written response to the invitation will continue to be a prized possession. Rugby union referee and Welsh legend Nigel Owens features on BBC Radio 4's programme Desert Island Discs. In this inspiring and highly emotional interview we learn of the highlights and hardships Nigel has faced throughout his life and career so far. Born and raised in a small village in Carmarthenshire, he first picked up the whistle aged 16, when it became clear to both his teacher and himself that he wouldn't make much impact as a player. His steely authority and quick wit on the field have won him worldwide praise - he's widely regarded as one of the best referees in the business for the impact he makes on the flow and coherence of a game. In 2007 he became one of the first high-profile sports professionals to come out as gay - a courageous move in a sport which often defines the word macho. He has spoken about this decision as being the biggest challenge he has ever faced - even more so than officiating an international match under intense scrutiny in front of 95,000 spectators and a global TV audience. He now says the unwavering support he has received from the rugby authorities, the players and the fans has enabled him to be true to himself and carry on working in the game he loves. Falling Water, the house Frank Lloyd Wright built for the Kaufmann family in 1935, is one of architecture's most iconic houses. A marriage of dynamic composition and integration with nature, it is strongly influenced by Japanese architecture. fforestchief says he is going to live there when he retires. Few might know that Frank Lloyd Wright's ancestors are Welsh. His maternal family emigrated from Cardigan to Wisconsin in 1844, where Frank was born in 1867. From an early age it was clear that Frank was highly influenced by his Welsh roots. Having been christened Frank Lincoln Wright, as a teenager he decided to change Lincoln to Lloyd as a dedication to his Welsh Mother. He designed more than 1,100 buildings in his lifetime and continued to work as an architect up until his death in 1959, aged 91. Frank ensured his Welsh heritage was represented in many of his buildings. He completed the build of his own home in 1911, which was developed on land belonging to his maternal Welsh family. He named the house 'Taliesin', after the ancient Welsh bard, and some of his other builds were adorned with the Welsh motto "Y gwir yn erbyn y byd" ("The truth against the world"). His Welsh heritage had a profound effect on his design outlook and inspired much of the organic feel of his architecture. Frank's one and only trip to his ancestral country was made in 1956 to receive an honorary doctorate from Bangor University. He actually stayed with another world-famous architect of Welsh decent during this trip, Sir Bertram Clough Williams-Ellis, creator of the Portmeirion village near Porthmadog in North Wales. Pictured together here in 1956, the two famous architects shared a similar vision: to design buildings that lived in harmony with the natural landscape. A little bit like fforest.